A new Windows 8 tablet has been launched this week in the form of the LuvPad WN1100, which is fitted with a 11.6 inch LED screen offering a resolution of 1920×1080. The LuvPad WN1100 is powered by a AMD Z-60 chip which incorporates a 1GHz dual core processor with AMD Radeon HD 6250 graphics, supported by 2GB of RAM. Storage on the LuvPad WN1100 Windows 8 tablet is provided by a 128GB solid state disk (SSD), and the tablet is now on sale in Japan for 59,850 yen, about $600 for just the tablet, or as a workstation pictures above with wireless keyboard for 69,930 yen. 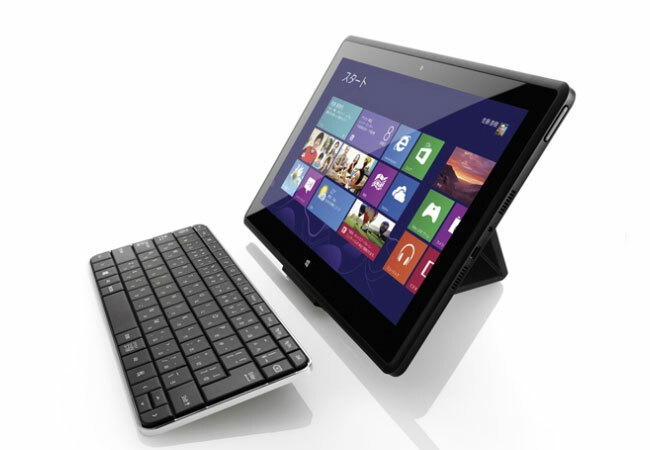 Other features of the LuvPad WN1100 Windows 8 tablet include Bluetooth 4.0 connectivity and support for Wireless 802.11n, together with USB and HDMI connections.